Call me typically Chinese if you like, but I’m not ashamed to say this: I LOVE DIM SUM. While steaming hotpots and richly flavoured meats have got their own special place in my heart, it’s the little things that matter. When you lie in bed at night, do you dream of steamer baskets full of fragrant shumai (Chinese steamed dumplings), pearlescent har gow (shrimp dumplings) and custard buns in all their golden glory? 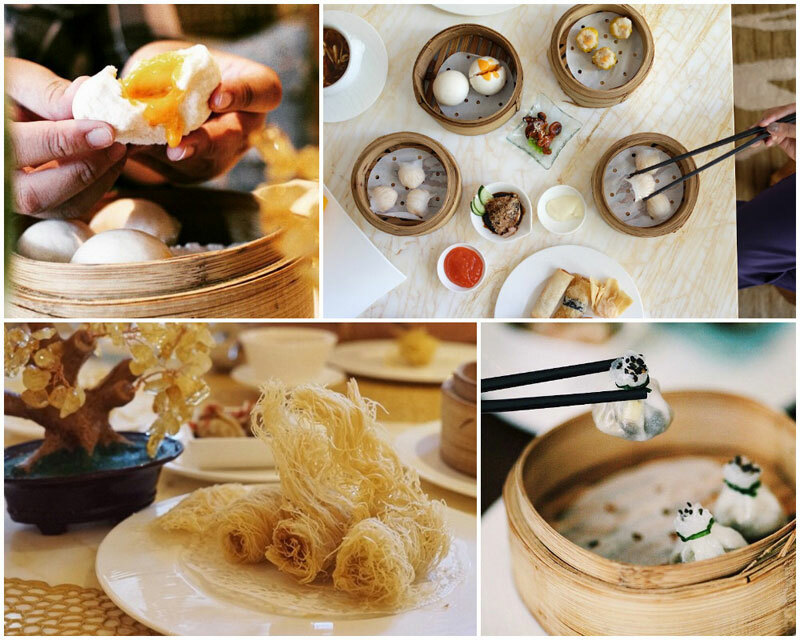 If you do, fellow dim sum enthusiast, this story is for you! 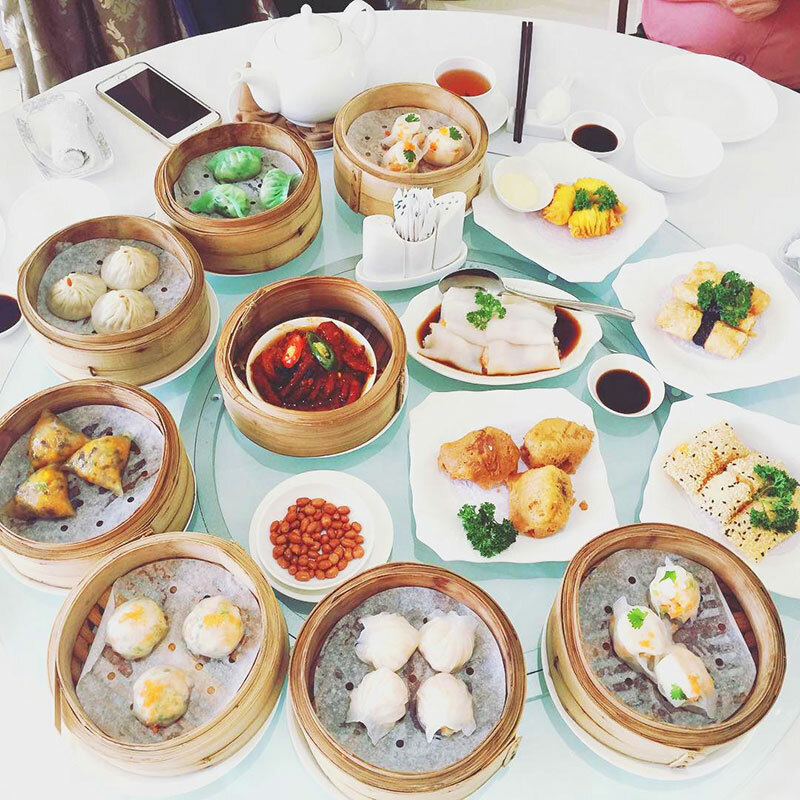 We know, it’s hard to find good dim sum in countries where Chinese cuisine doesn’t make up the majority. 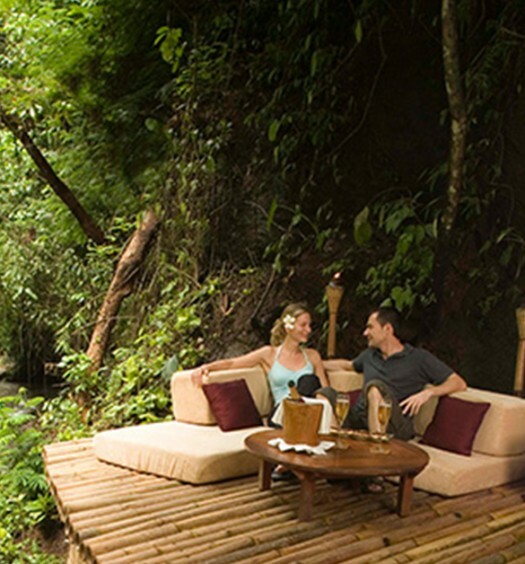 We’ve sure had our fair share of disappointments, but Bali isn’t going to be one of them! 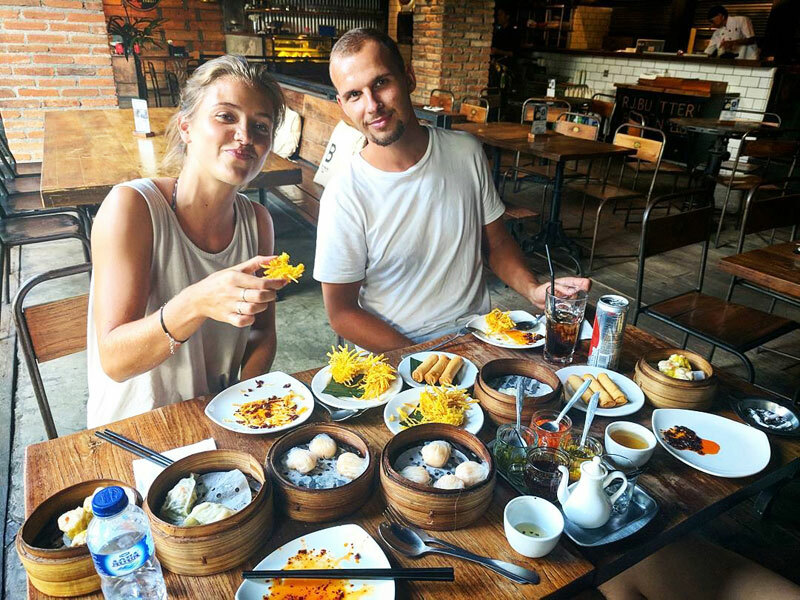 Believe it or not, but there are a number of establishments right here in Bali, where dim sum fanatics can get their fix, and people who don’t love dim sum yet can meet their true love. We mean, seriously, guys. Don’t love dim sum? 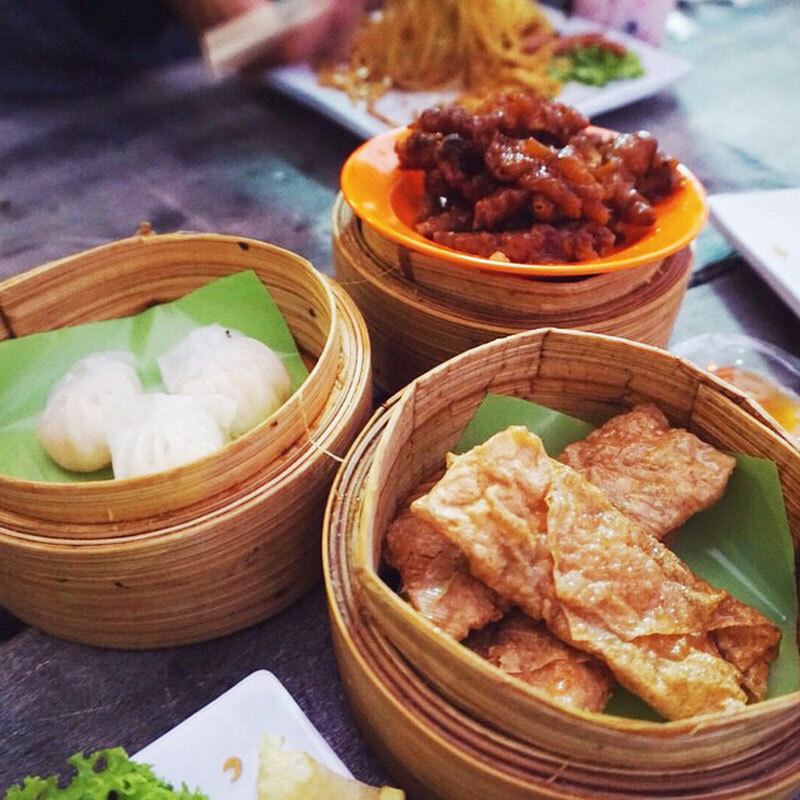 Check out our top picks for dim sum in Bali, and you will change your mind. 13 Best pork dishes in Bali for the most authentic, local and satisfying experience! 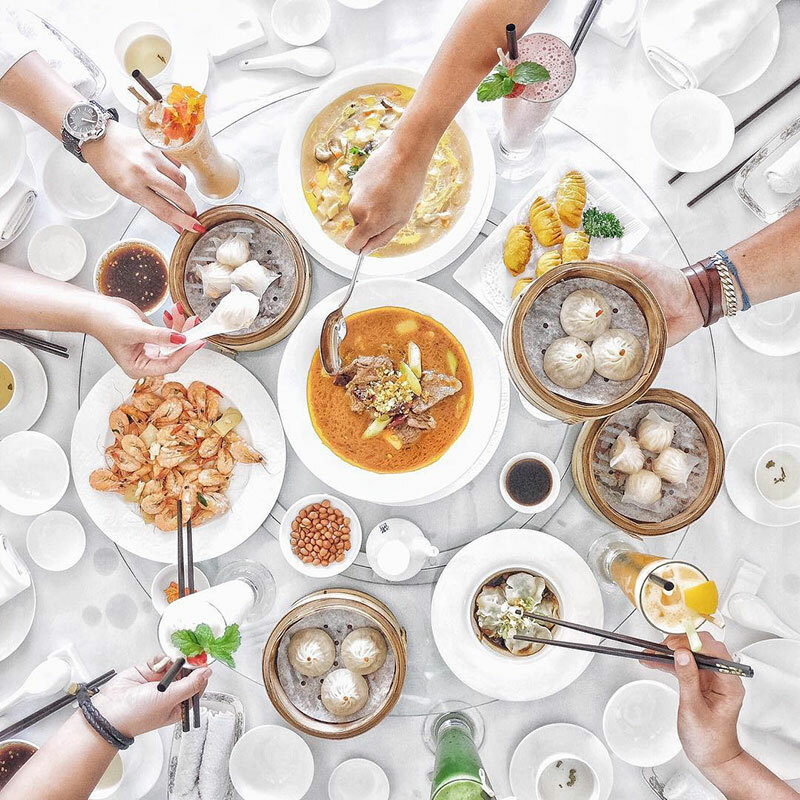 We mean it – if you’re planning to drop by RIMBA Jimbaran BALI’s Ah Yat Abalone Seafood Restaurant for that dim sum fix, you’d better make sure your tummy is ready to go big. 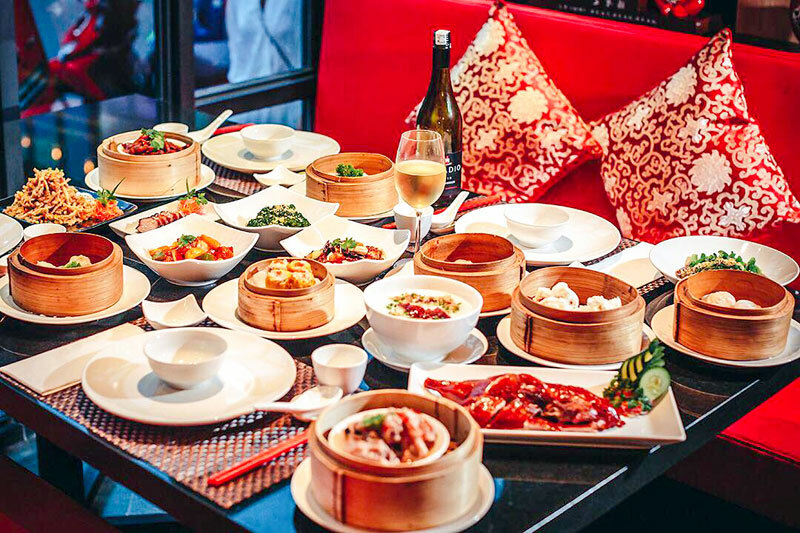 With an extensive dim sum selection featuring over 40 of your favourite dishes, how could you bear to walk away without eating till you’re super full? Most selections are between Rp. 30,000 – 40,000++, which isn’t too hard on your wallet at all! If you love dim sum enough, feel free to upgrade and go for the All You Can Eat Dim Sum Special at Rp. 238,000++. That’s right – you’ll get to indulge in 34 different dimsum favourites in elegant surroundings, without any guilt on your wallet! 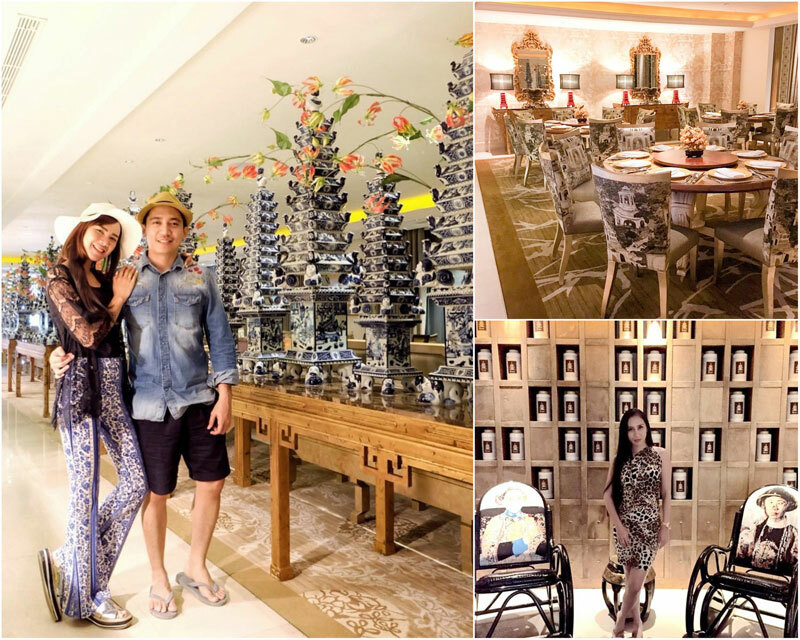 Ah Yat boasts a ginormous interior (it’s the biggest Chinese restaurant in Bali!) that’s incredibly pleasing to the eye, complete with custom furniture, bright colours and modern artwork. You’ll even get to dine in close proximity to the live seafood on display! Don’t get too distracted! 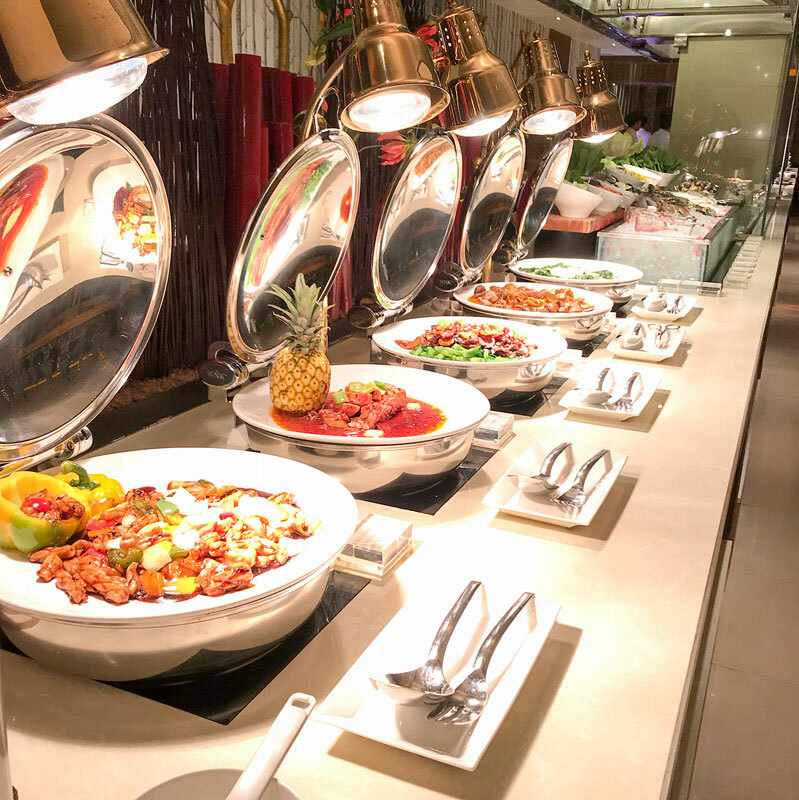 Remember to try out yummy classics such as shu mai, har gow and chee cheong fun, and the Nasi Abalone (not included in buffet menu). Make my hunger while writing this worthwhile, please. Kou Dim Sum Parlor is the celebrity makeup artist for dim sum. 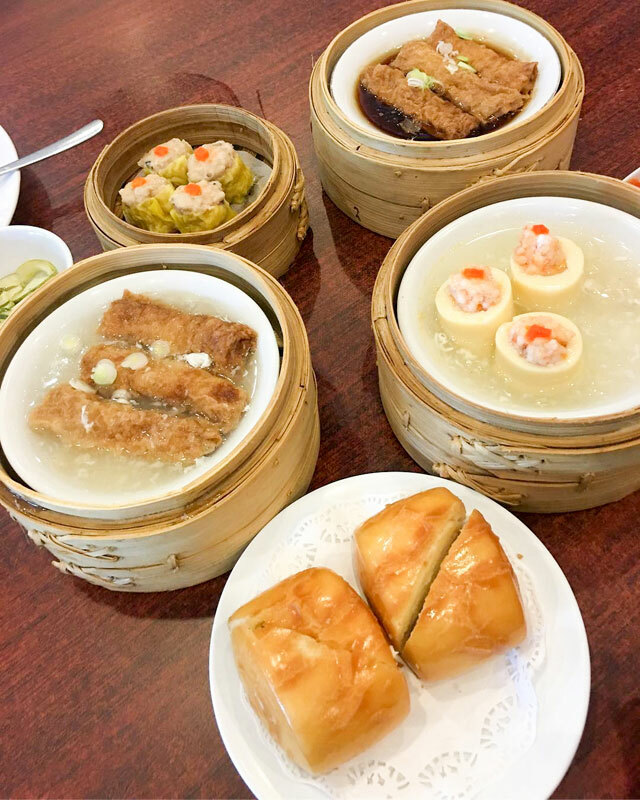 This relatively new restaurant is situated in Renon Plaza, featuring a cozy environment with cushioned chairs, where you can easily while away an afternoon with friends and family, and droolworthy dim sum, of course! There’s just one downside – almost everything that comes out of the kitchen here looks almost too pretty to be eaten. If you can’t find it in your heart to chomp into a minion custard bun or a Doraemon bao, fret not. There are plenty of other yummy choices that don’t need you to act like a monster. 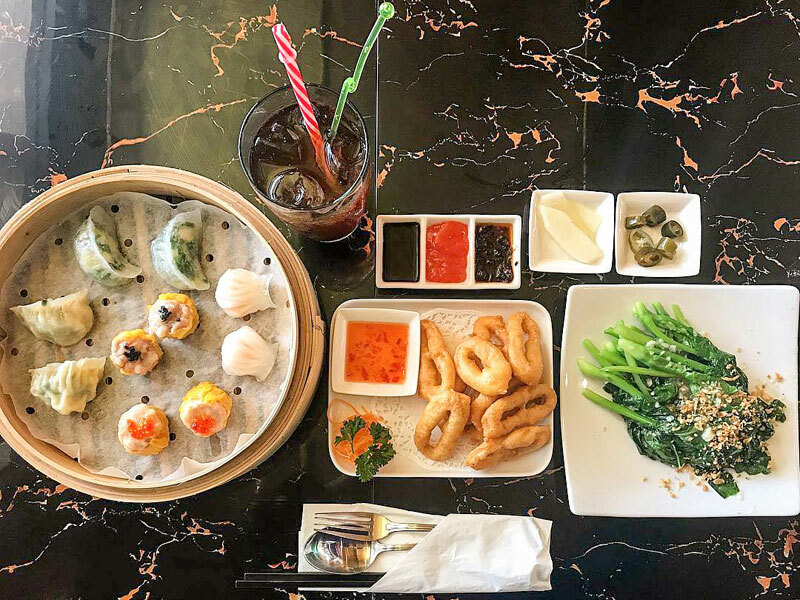 From regular shu mai to fusion choices like chicken, cheese and truffle xiao long bao, Kou Dim Sum is as much an experience of taste as it is of sight. 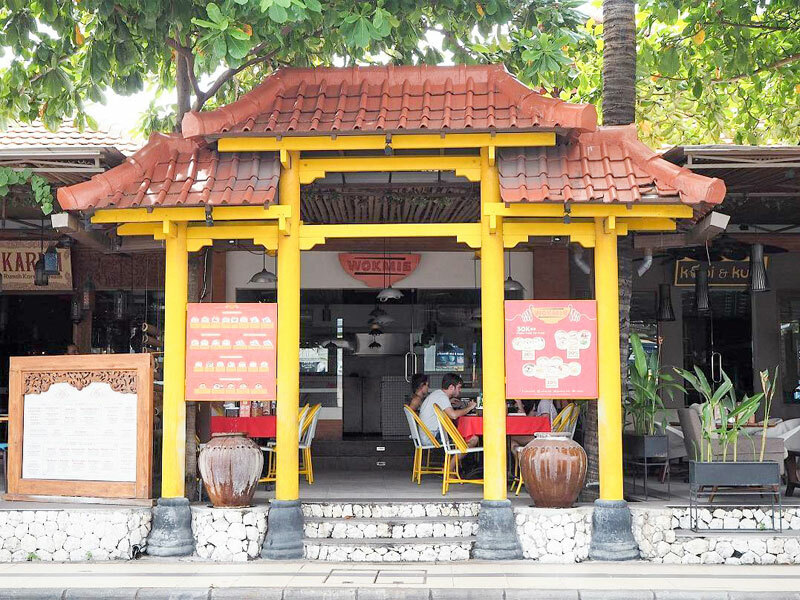 From first glance, Kober Mie Setan Bali is a crowded restaurant in Denpasar that serves up plate after plate of the spiciest noodles you’ll ever taste. 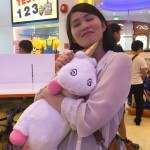 In fact, it’s so crowded all the time that service can be rather slow and frustrating sometimes. But what did we teach you about appearances being deceiving? This unassuming establishment doesn’t just burn your tongue, but soothes it with yummy dim sum at the same time! 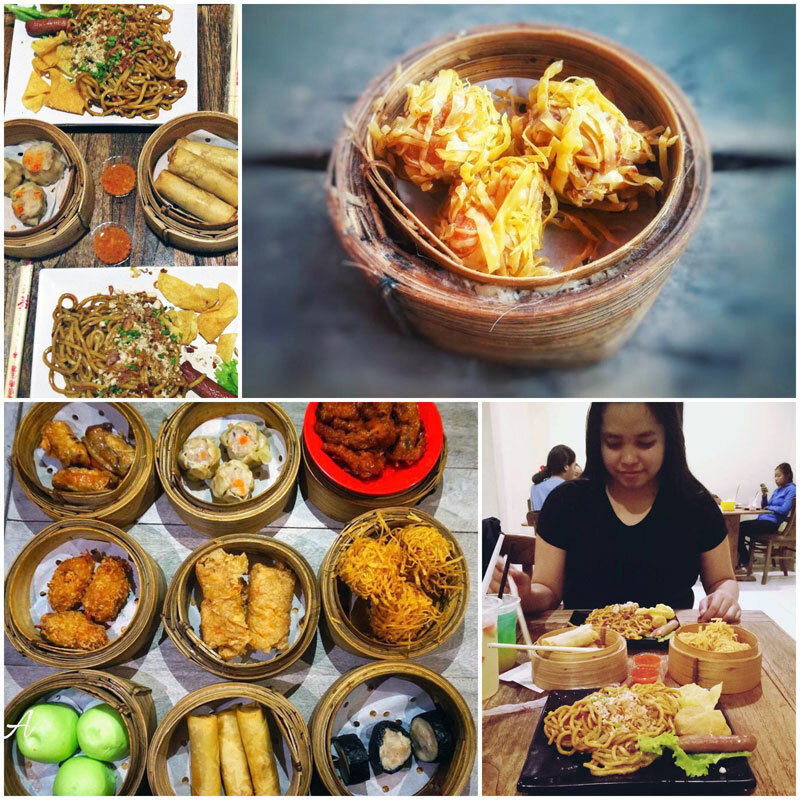 From spring rolls to shumai and pandan baos, most of the dim sum here come extremely affordable prices. Feel free to order them along with a spicy noodle, because your wallet definitely won’t be burnt (maybe just your tongue)! Better yet, this place is 100% Halal certified – what else is there to stop you from adding this into your foodie notebook? 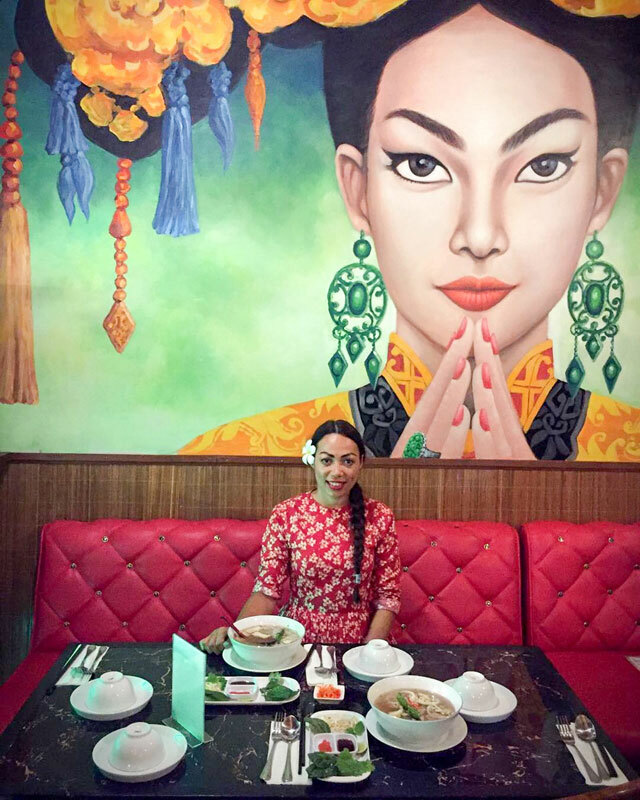 This hip Chinese-Vietnamese restaurant has an interior that borrows from both traditional Chinese and modern elements, the perfect background to please all you shutter-happy people. They even have a rooftop area where you can stuff yourself to the warm glow of the setting sun and a live DJ every Wednesday and Saturday! But when it comes to food, Heritage is all about simple tradition. 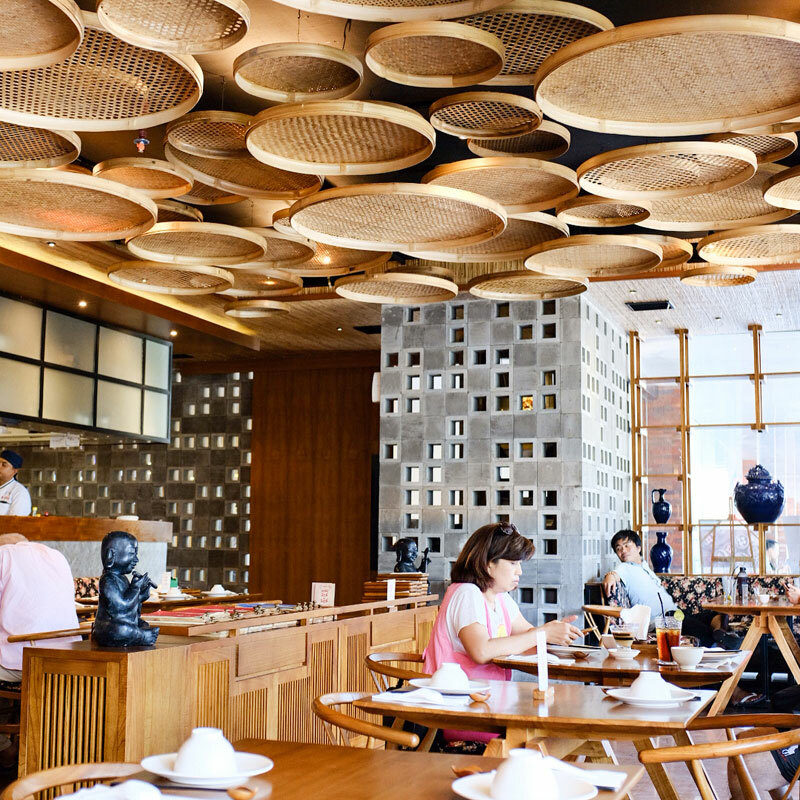 Their dim sum selection consists of iconic choices like har gow, xiao long bao and shu mai – nothing fancy or avant garde. And sometimes, simple is best! That’s probably why this restaurant’s dim sum is so highly raved about, and often said to be the best dim sum in Bali. Don’t forget to try the har gow, which is highly recommended by customers for the fresh taste of shrimp and bouncy texture of the pastry skin (we’re not recommending it just because we like har gow, pinky swear). It’s kiddy heaven here at The Trans Resort every Sunday! 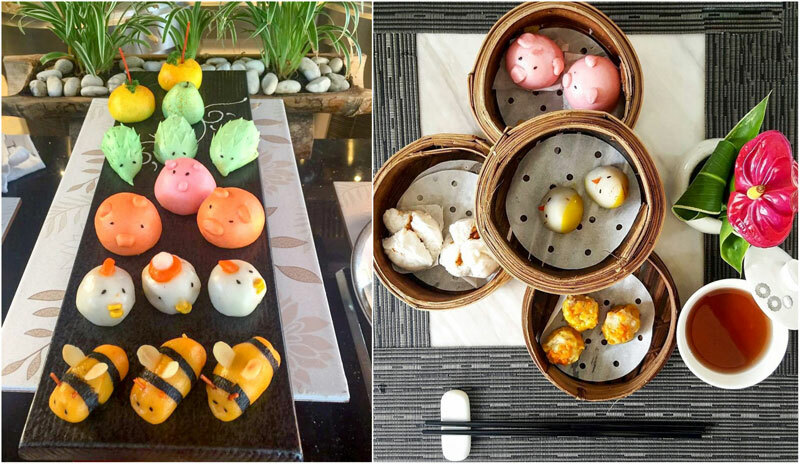 Check out the Fun Sunday Yum Cha (on Sundays, of course) at The Restaurant, where you and your kids (or the kid in you) get to have some fun with a dim sum buffet, featuring some of the cutest dim sum you can find on the planet. 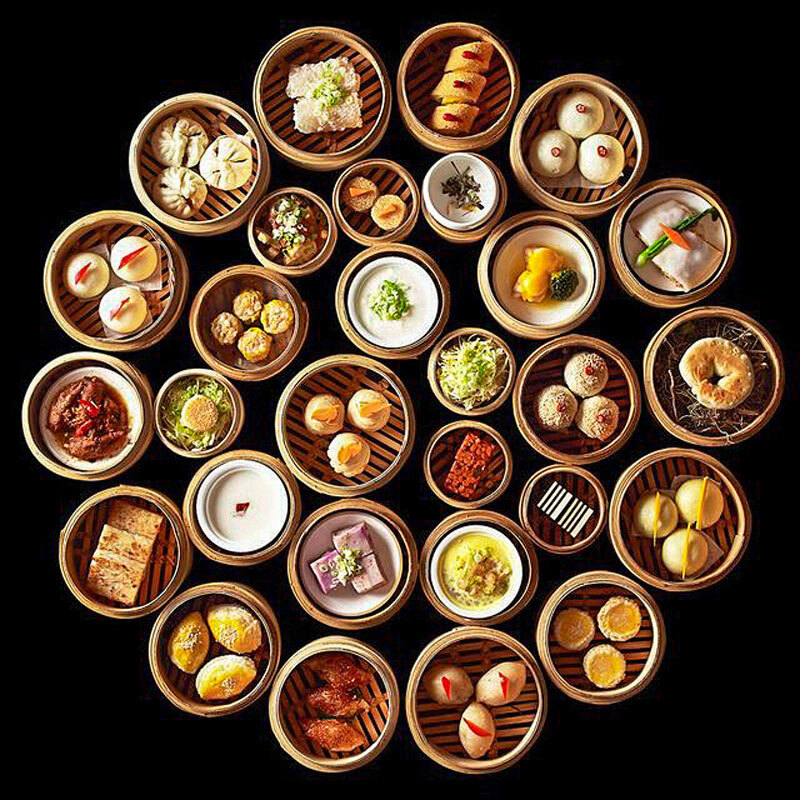 Pick your favourites from a cart that staff push around the restaurant – from the more quirky animal buns to classic char siew baos and mouthwatering shu mai, this dim sum buffet is made to please both the young and old. 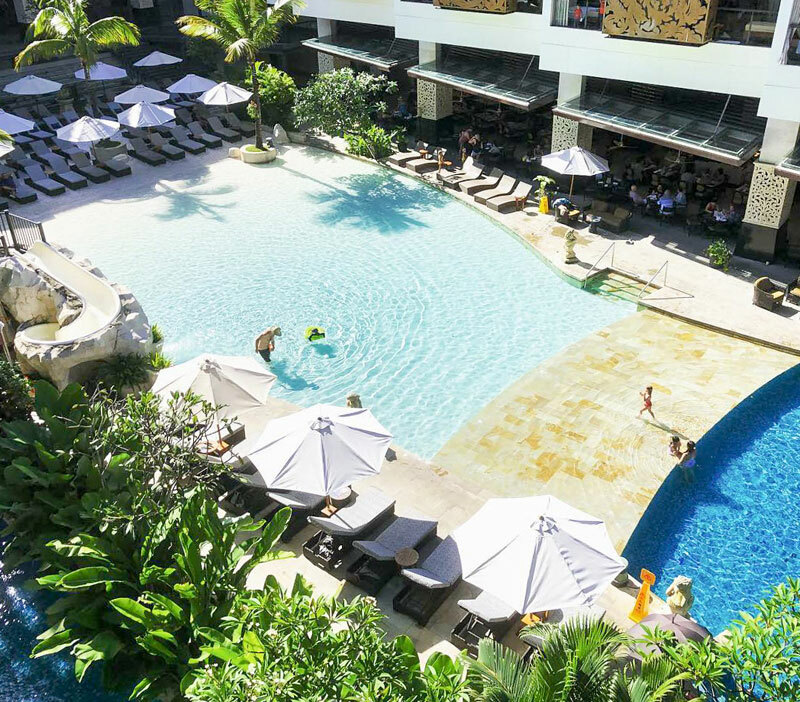 If you’re there for this buffet, you can also get free access to the resort’s gorgeous pool and kids’ club. Yes, that means you can finally have a meal in peace, with a happy kid and a happy you! While the dim sum here may not be excellent (as compared to some of the rest), it’s a unique experience and the perfect way to spend some family time if you’re itching for something to do. Any time is a good time for dim sum, which is why everyone’s favourite Dim Sum Inc. is open 24/7, ready to satisfy even your late night dim sum cravings! 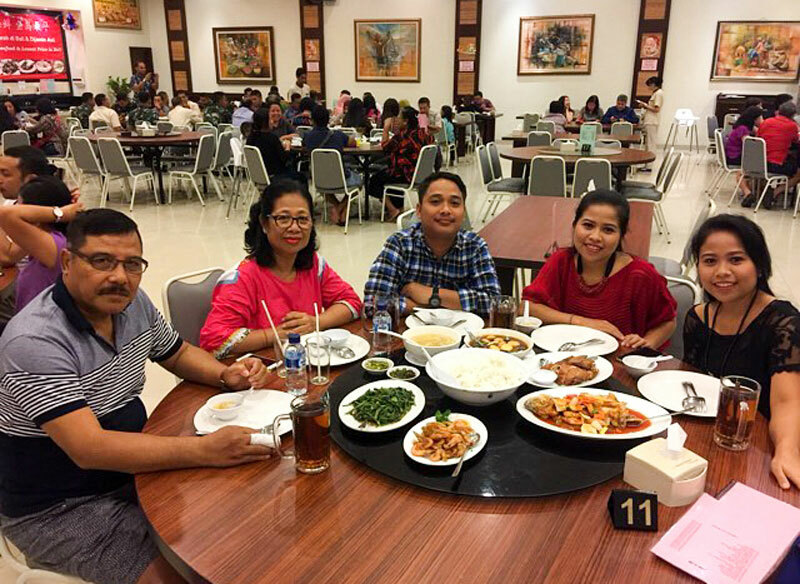 This popular chain from Jakarta may be well-known amongst the locals, but that hasn’t had a dampening effect on its food quality. Pop by any time of the day to enjoy dim sum made with a passion – where shu mai, har gow, char siew paos are churned out non-stop, you won’t ever have to stop stuffing your face. 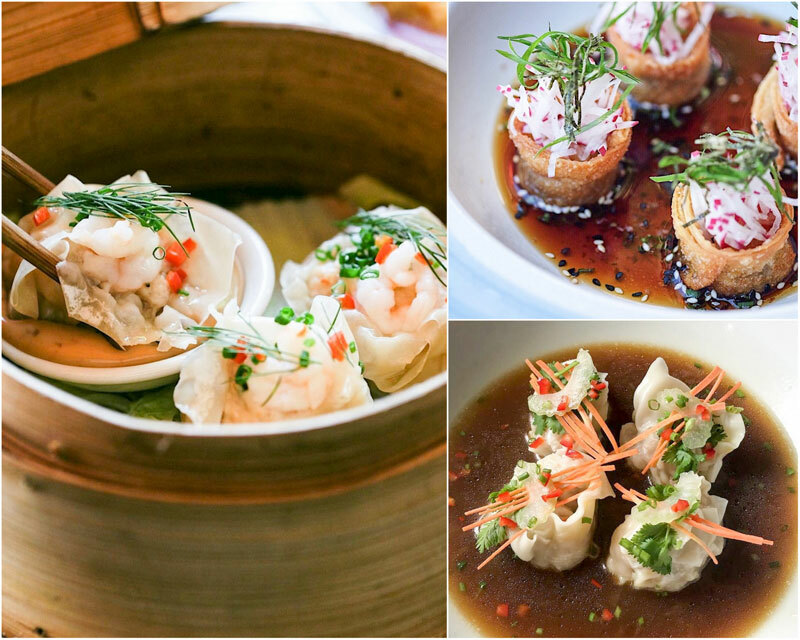 We think we get why people love Dim Sum Inc. now. Located amongst the rice fields of Ubud, this serene restaurant is where traditional Bali marries Chinese culture. 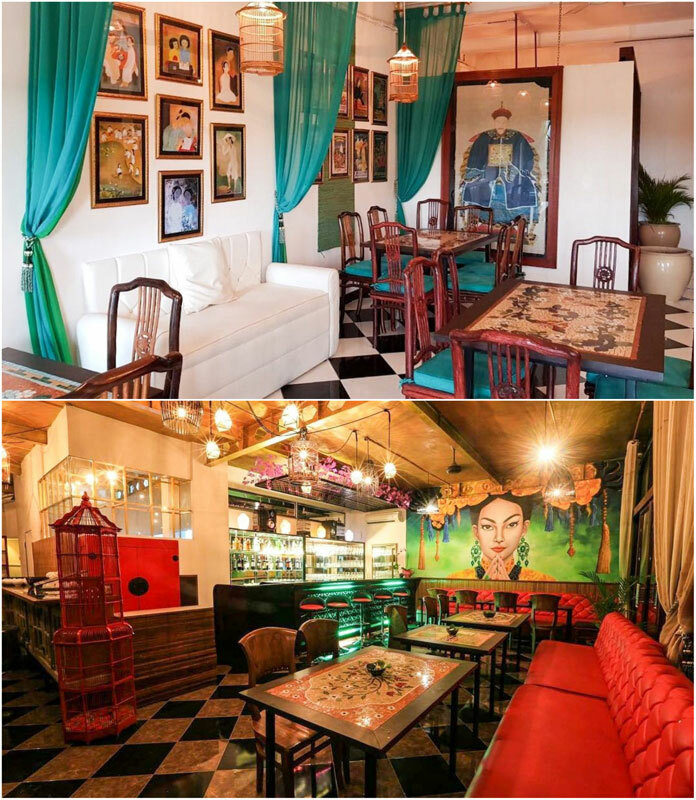 You’ll find yourself immersed in this fusion world as you enter Golden Monkey’s tastefully and elegantly decorated space. But, while they play around with the restaurant’s design, Golden Monkey ain’t monkeying around with their dim sum. 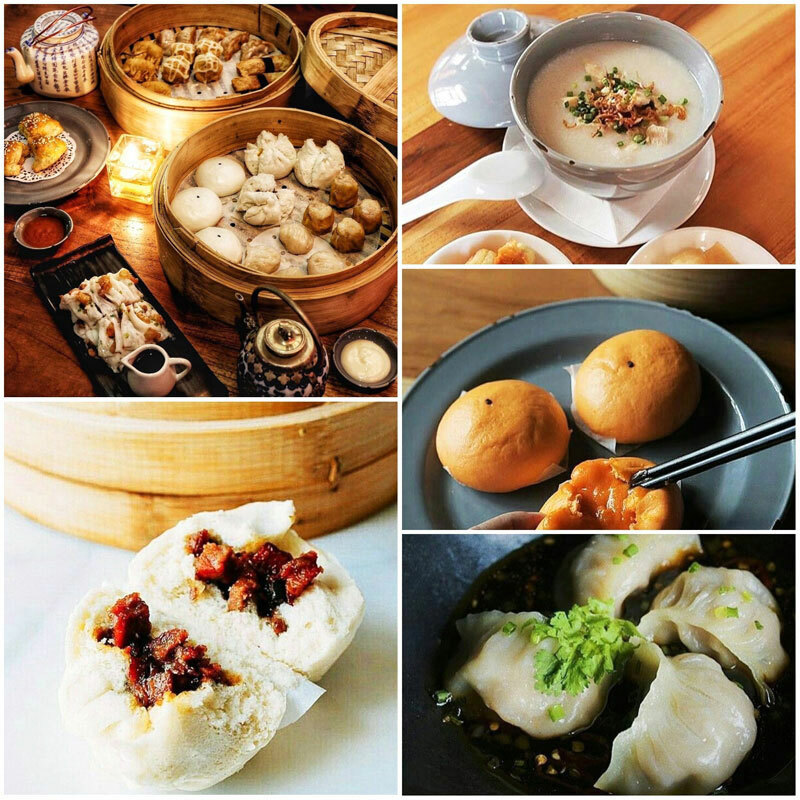 All the iconic dim sum dishes, including xiao long bao, har gow (of course, did you think you could escape the har gow mention) and a pretty mean char siew bao, are available here. On Sundays, they even have an all-you-can-eat buffet from 11am to 3pm, so pick your days carefully, gluttons, or pay (literally!) for your mistake. Cocktails and ice cold Bintangs are also available as the Robin to your Batman dim sum, but we suggest you go easy on that. Fights break out easily when you’re tipsy, and your sneaky friend is trying to steal your bun. 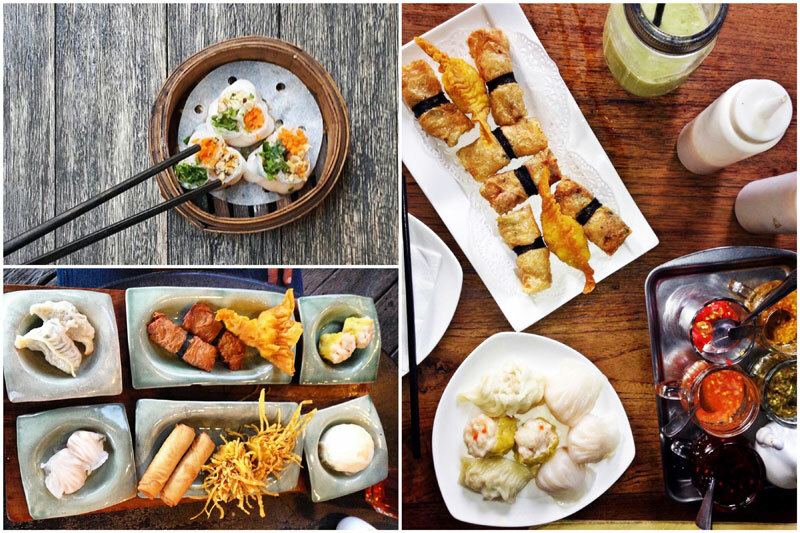 Love dim sum and looking for a quiet place to chill for the afternoon? 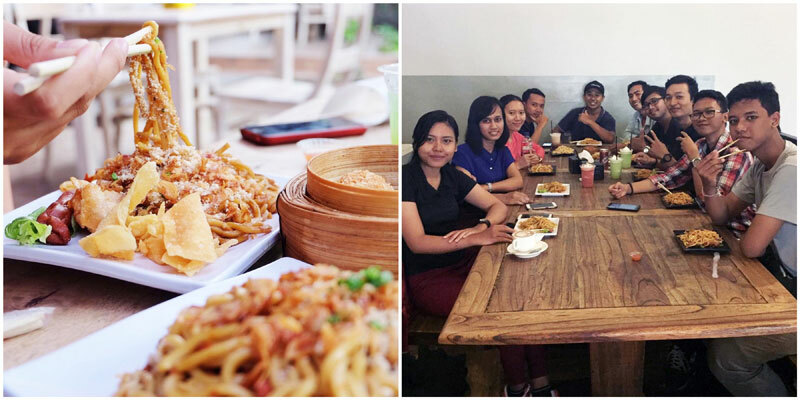 Things don’t get more real than at Amber Resto Bali, which is run by a Chinese family looking to serve authentic Chinese food to the Bali crowd. 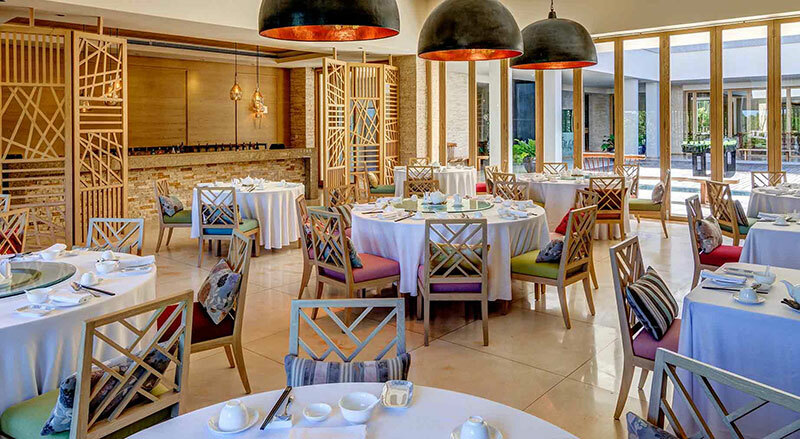 Furnished with tasteful wooden furniture and surrounded by greenery, dim sum here is gobbled down amongst a thick Bali island vibe that will have your worries flying away in an instant. 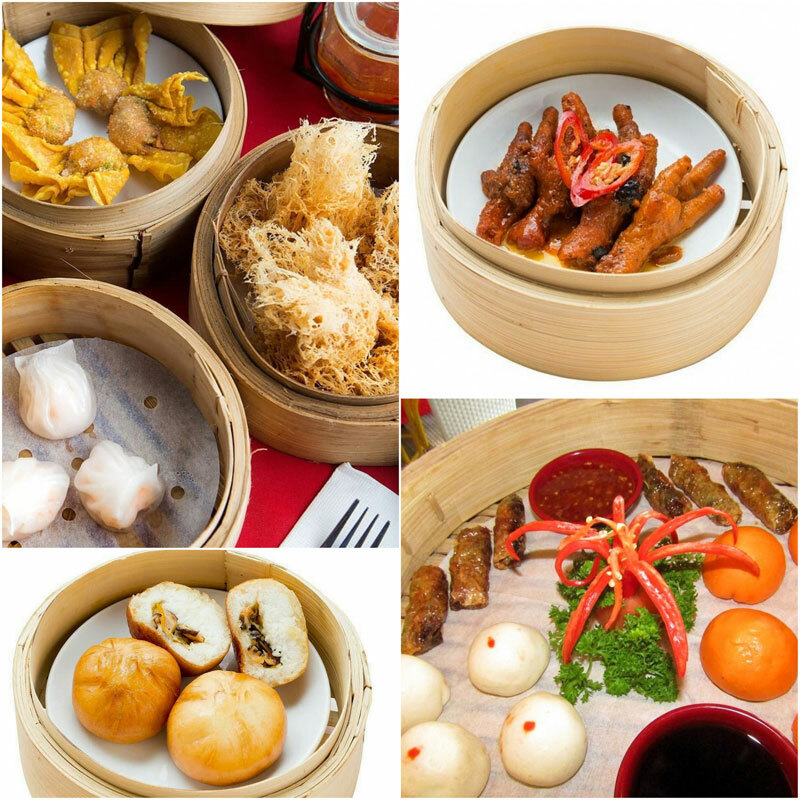 All your favourites are here, including, yes, har gow, creamy custard baos, chicken feet and the much-raved-about chicken shu mai! Amber Resto also offers cuter options, such as porcupine and bunny buns, which the little ones will absolutely love. If you’re looking for something heavier, they also serve some yummy seafood for your second round of gluttony. 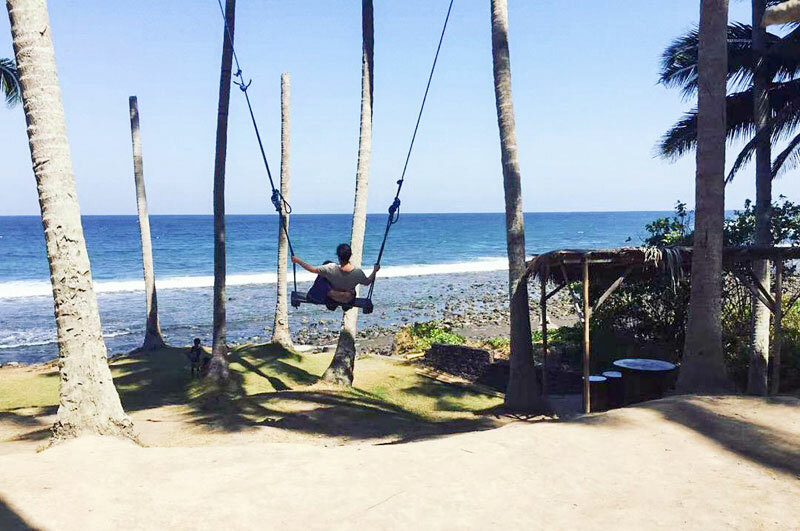 Sit back and relax with your baskets of dimsum, and after that, why not head for a soothing swinging session on the giant swing? Not too soon after your meal, please – the ocean doesn’t need your donation of half-digested dim sum. Wok do you mean you can have yummy seafood and dim sum at the same time? 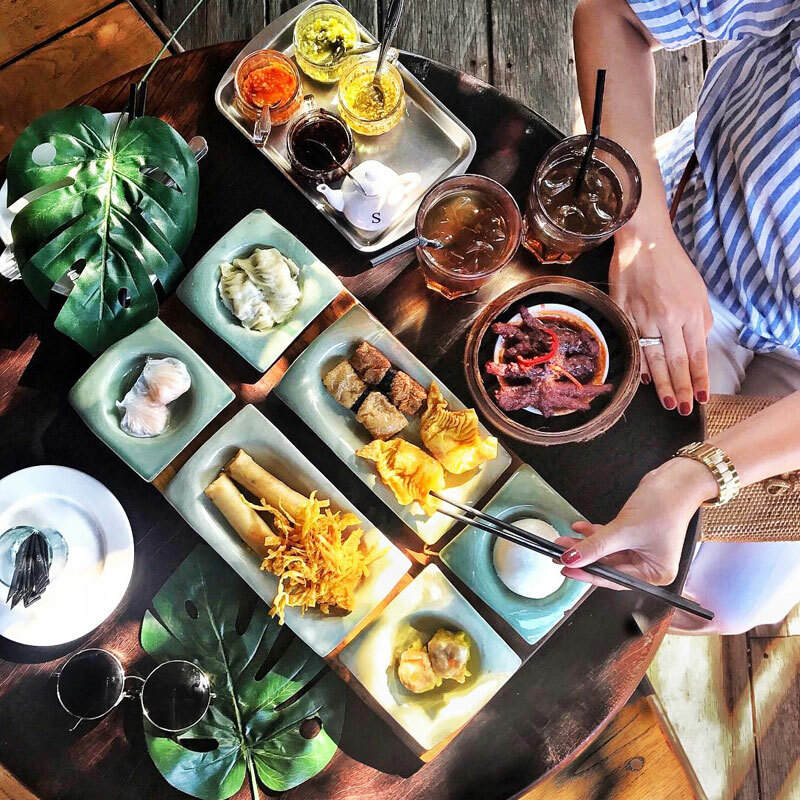 It’s the best of both worlds here at Mr. Wok’s homey establishment in Uluwatu, for those of you who don’t believe that a tiny basket of food could possibly leave you completely satisfied. Well, Mr. Wok is going to prove you wrong with his perfect blend of fresh seafood and made-to-order Hong Kong-style dim sum, both of which are completely halal! 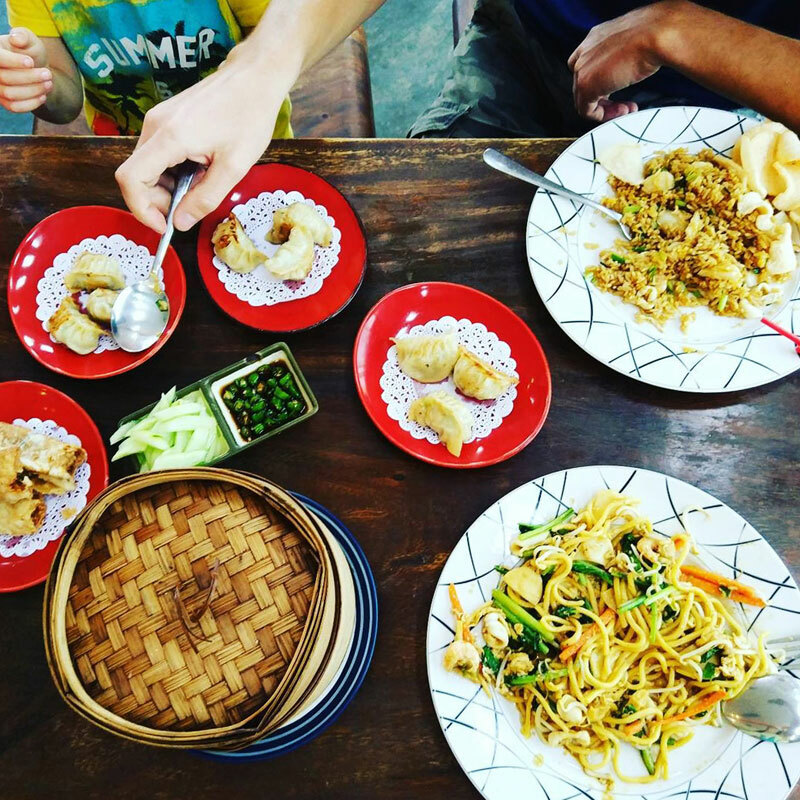 Grab a fresh deep fried squid, a juicy snapper and round it off with the highly recommended crispy money bags and pan fried dumpling. Still not full? Well, you can always just order more, because why won’t you when the food’s this good? Love dim sum, but hate dim sum? 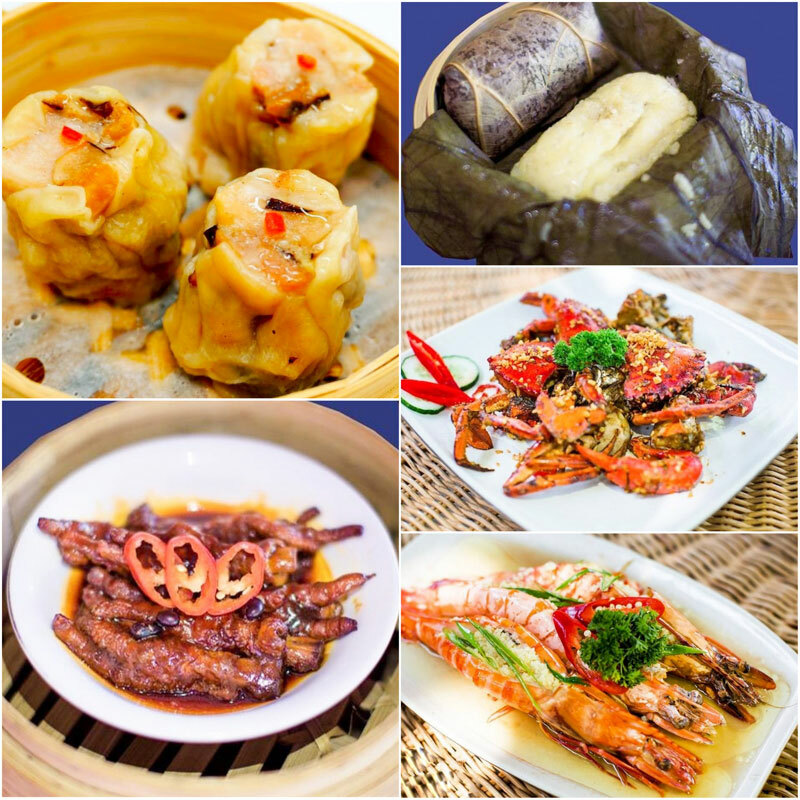 If you’re getting a little tired of the typical dim sum choices, Fat Gajah is going to give you a big Fat surprise! Known for their mastery over dumplings and noodles, this establishment naturally focuses on what it does best – dumplings. With both steamed and fried choices ready for your picking, one thing’s for sure – these are dumplings that you won’t be dumping anytime soon. Fat Gajah’s unique specialties include Crispy Pork Dumplings, Leg of Lamb Dumplings, Beef Rendang Crisp Dumplings, and other out-of-this-world concoctions. 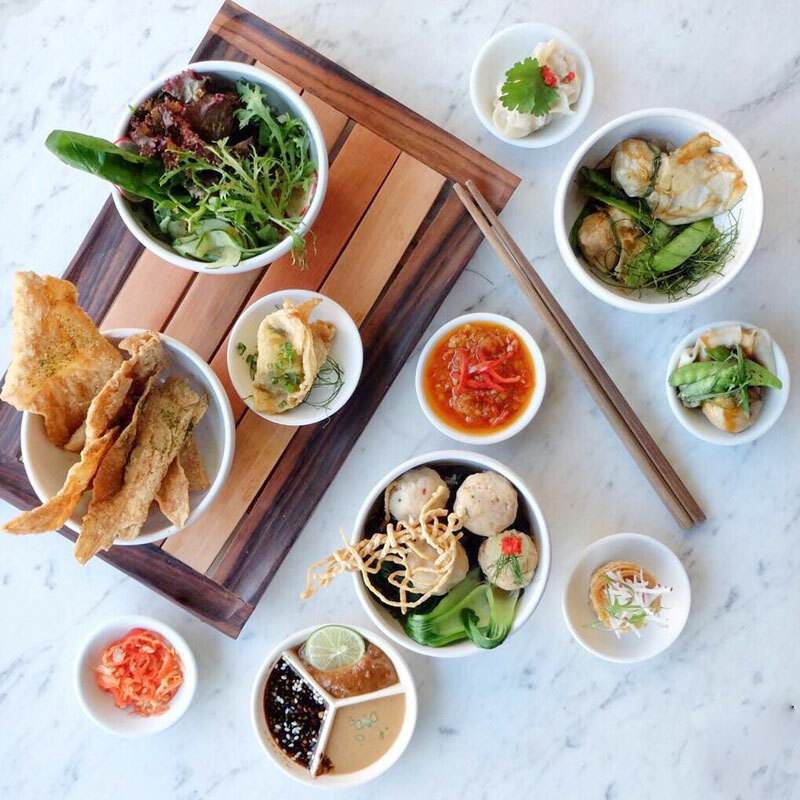 Opt for the dumpling platters to taste them all, then bring yourself back to earth with a tasty rendition of shu mai, complete with juicy meat and bouncy texture. If you’re not so much a dummy for dumplings, you can also try out other unique dim sum, such as Shrimp Stuffed Tofu and Rice Cracker Shrimp Balls. 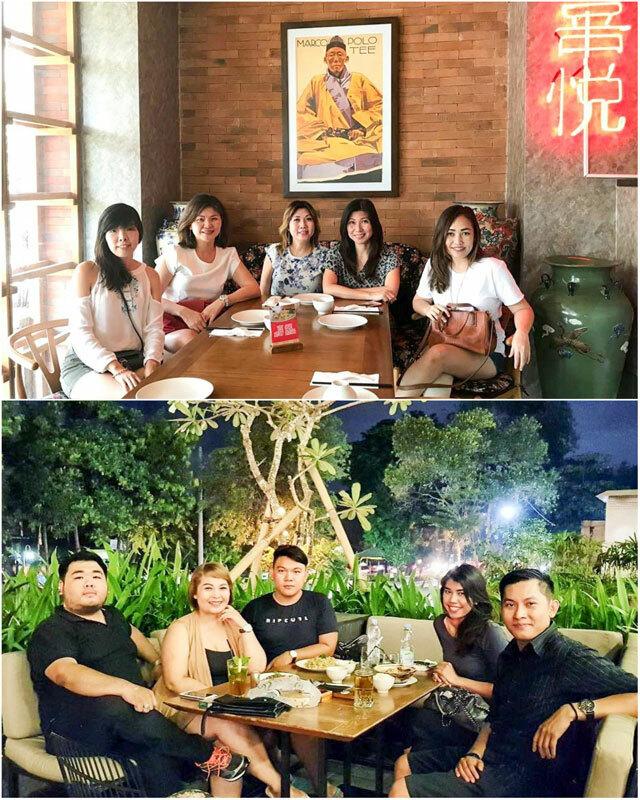 It’s too easy to embrace Fat-ness when you’re at Fat Gajah – we can’t help ourselves when it’s so good. The biggest joy in life, we think, is being able to eat like a king. Which is why we don’t mind the occasional splurge, and if there’s anywhere you should splurge at, it would be Mulia Bali’s Table 8. 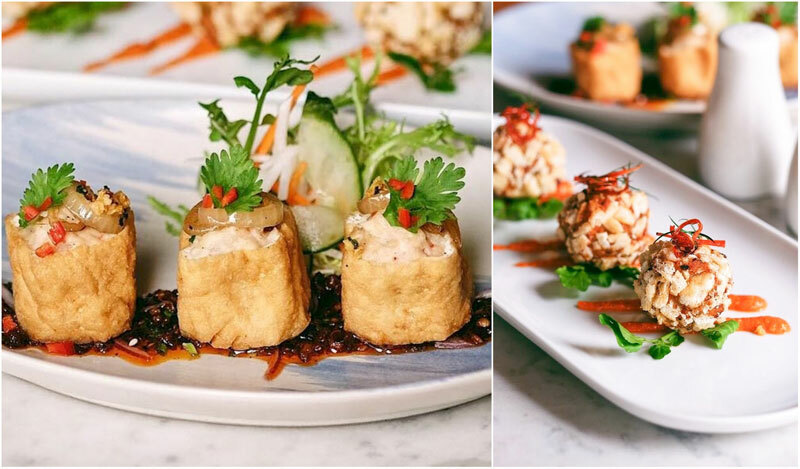 With a glorious interior inspired by ancient Chinese palaces, and a focus on authentic Cantonese and Szechuan cuisine, it’s no wonder that Table 8 is churning out dim sum worthy to be served to a king. 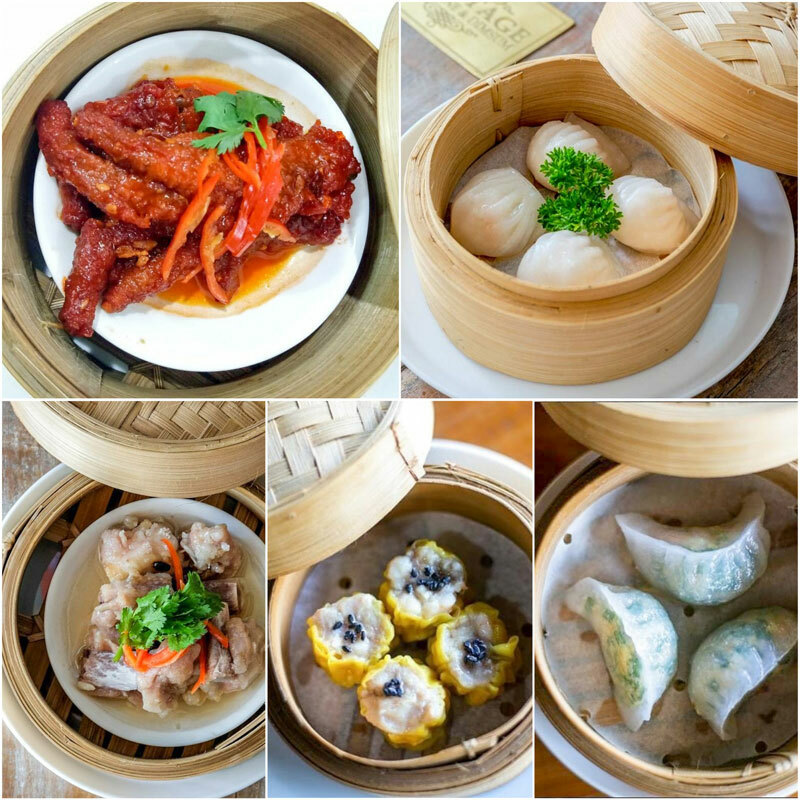 You get to choose from a selection of traditional dim sum dishes, including everyone’s favourite har gow, shu mai and flowy custard buns. Can’t choose? 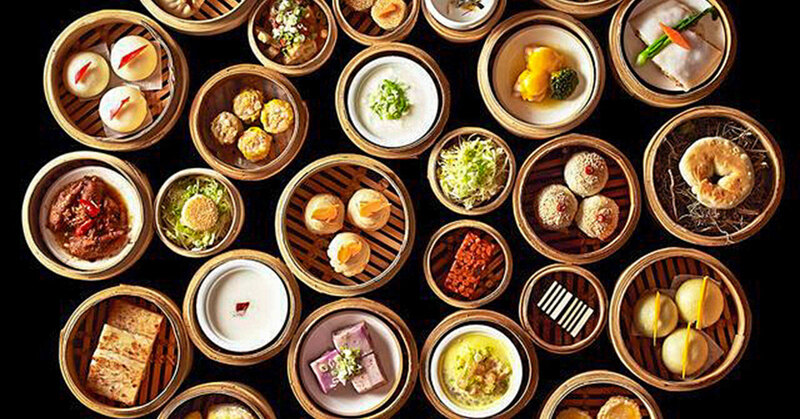 Opt for the All-You-Can-Eat Dimsum buffet, and you’ll find yourself in heaven. 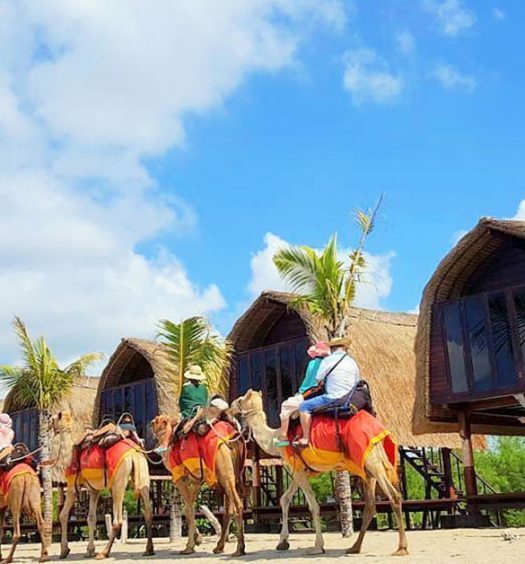 This restaurant may be just a tad pricey for what Bali has to offer, but if you’re looking for a luxurious experience on top of good taste, it’s definitely worth it. Sometimes we are broke and can’t afford nice stuff. We understand. Which is why we’re here to tell you, even poor people can have nice food. 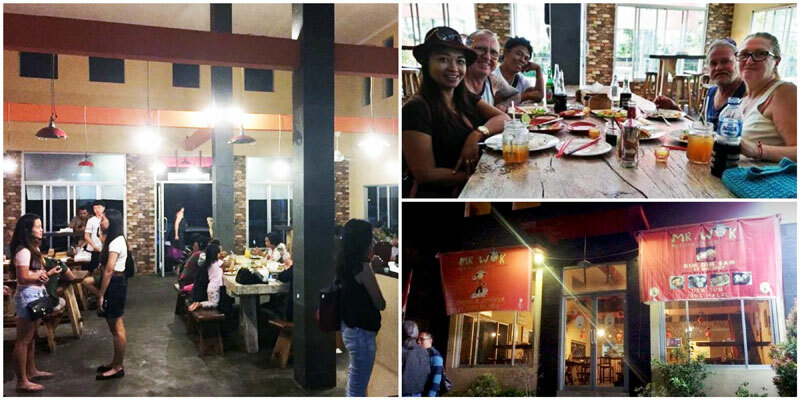 WokMie Bali is the best friend to the poor right here in Kuta, masquerading as a noodle bar with a fast food concept. 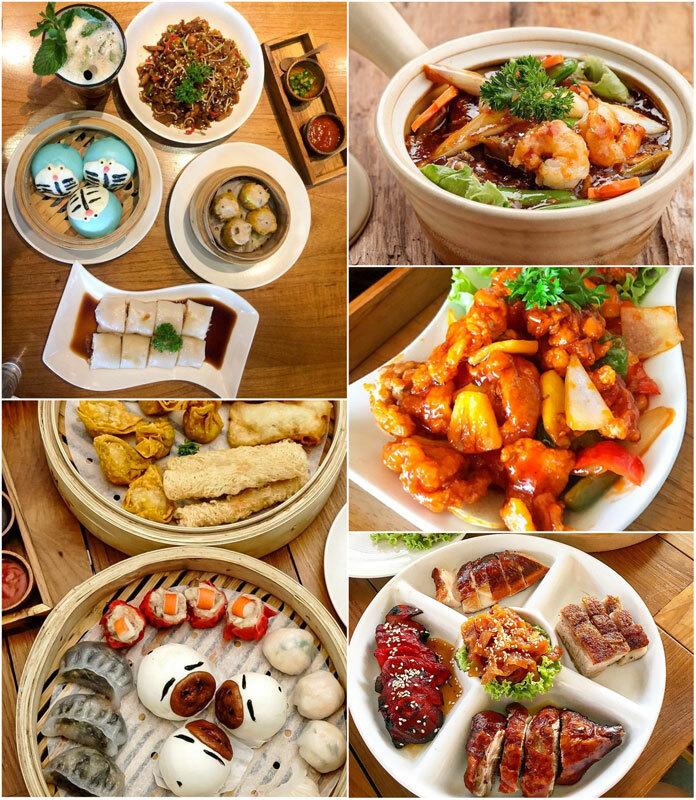 Here’s the kicker – they also serve all the classic renditions of dim sum, including h– g– (you can spell it if you’ve been paying attention), xiao long bao, chicken feet, and the usual baos. And here’s the kicker to the kicker – they all come at Rp. 30,000 per serving! 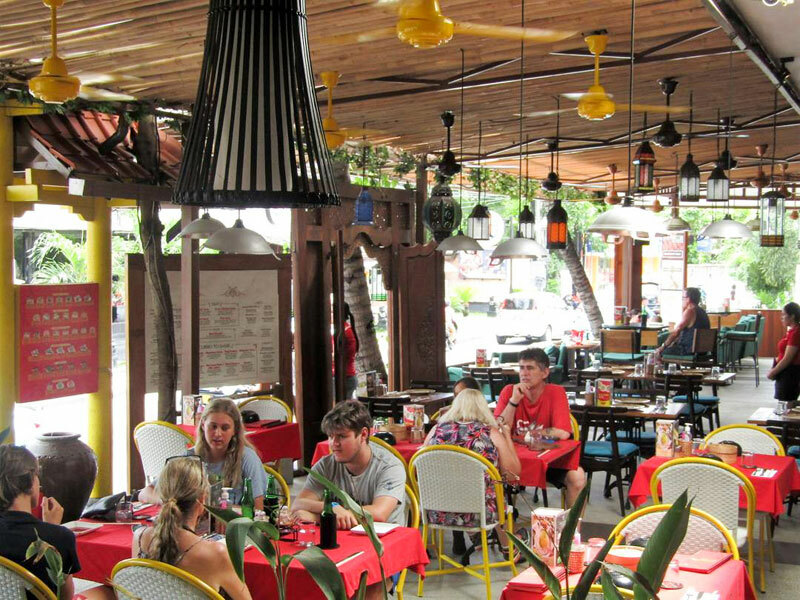 With its convenient location in central Kuta, here’s the best spot for all of you backpackers with incredibly tight budgets. Actually, why are you still here? We’d be reading this at WokMie if we were you. Who says dim sum is both expensive and non-halal? Restoran Renon may lose out in terms of ambience, looking more like a school canteen than a restaurant, but it wins in terms of some really cheap dim sum (Rp. 15,000!) and that it’s halal! 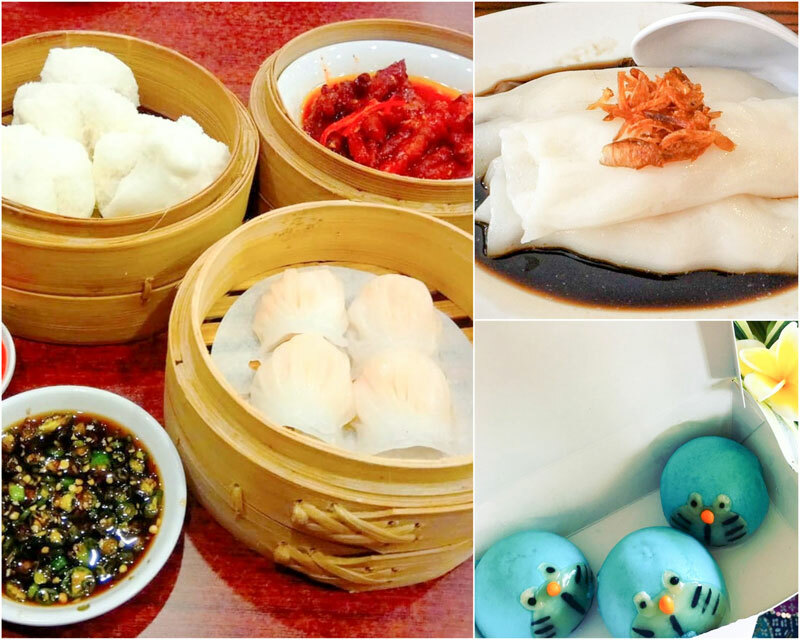 Popular among the locals, chee cheong fun, char siew bao, and even a pretty demonic-looking Doraemon pandan bao are available here, with extensive list of dim sum selections. 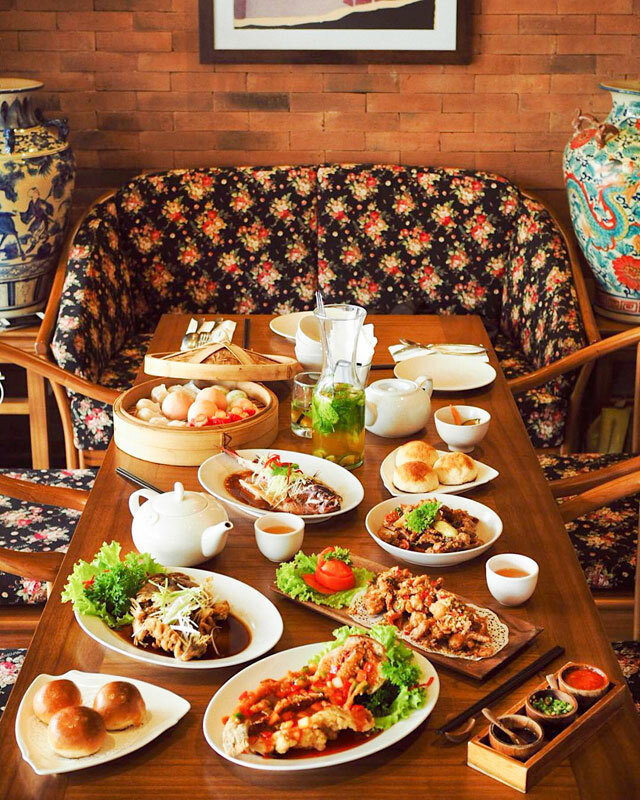 If you’re looking for a place to hang out with your family, or just want to try dim sum with some local flair, Restoran Renon is your guy! What’s the first thing that comes to mind when you think about dim sum? 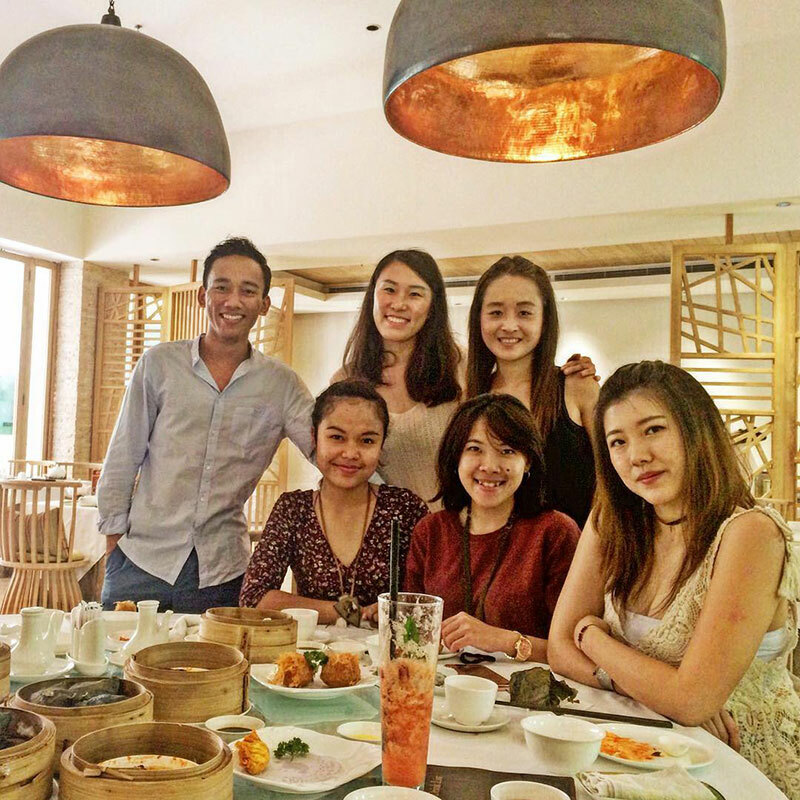 If it’s a group of chatty aunties gathering around a traditional round table, we’re about to change your perspective – Moon Rabbit makes dim sum cool again! 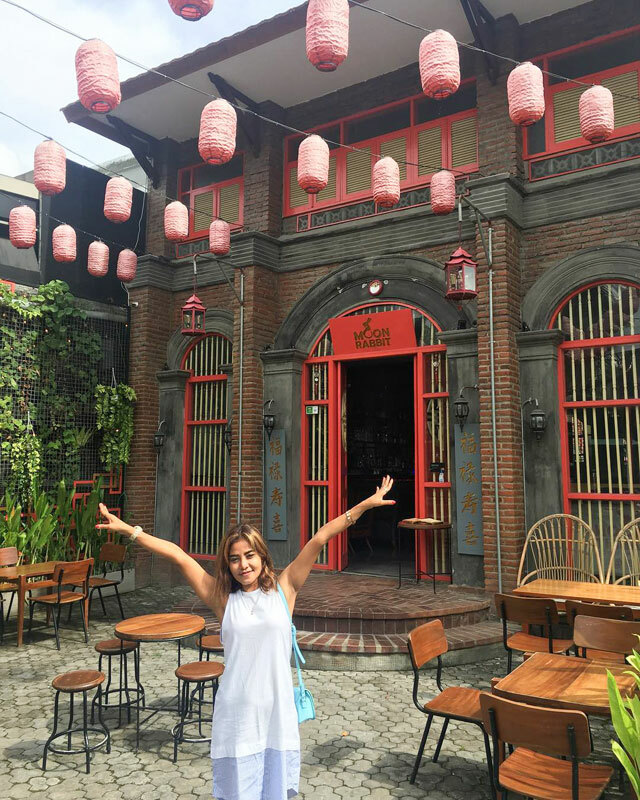 This dim sum restaurant, located amongst a myriad of other cool places in trendy Seminyak, has an alter ego – it’s also a bar! Tea’s definitely not your chee cheong fun’s (rice noodle roll) only best friend anymore. 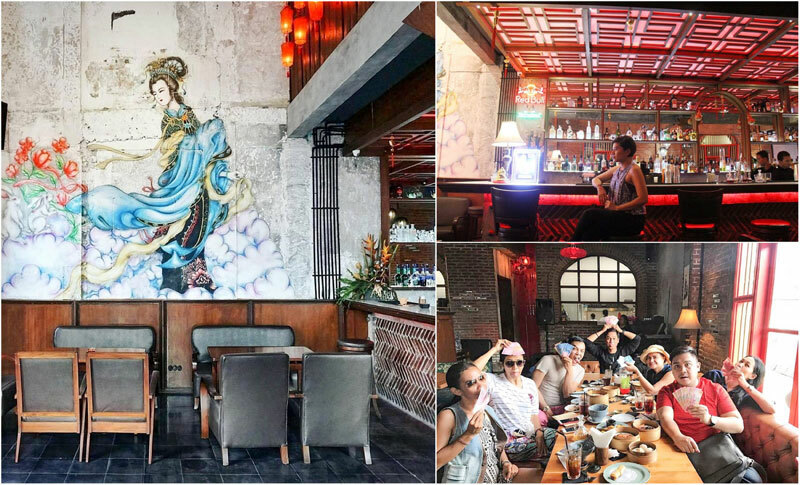 Decked out in full Chinese vibes, complete with red lanterns adorning the walls, you’ll almost feel as though you’ve been transported into ancient China, if not for the DJ spins and the bartender concocting fancy cocktails. But of course, the highlight here is the dim sum. 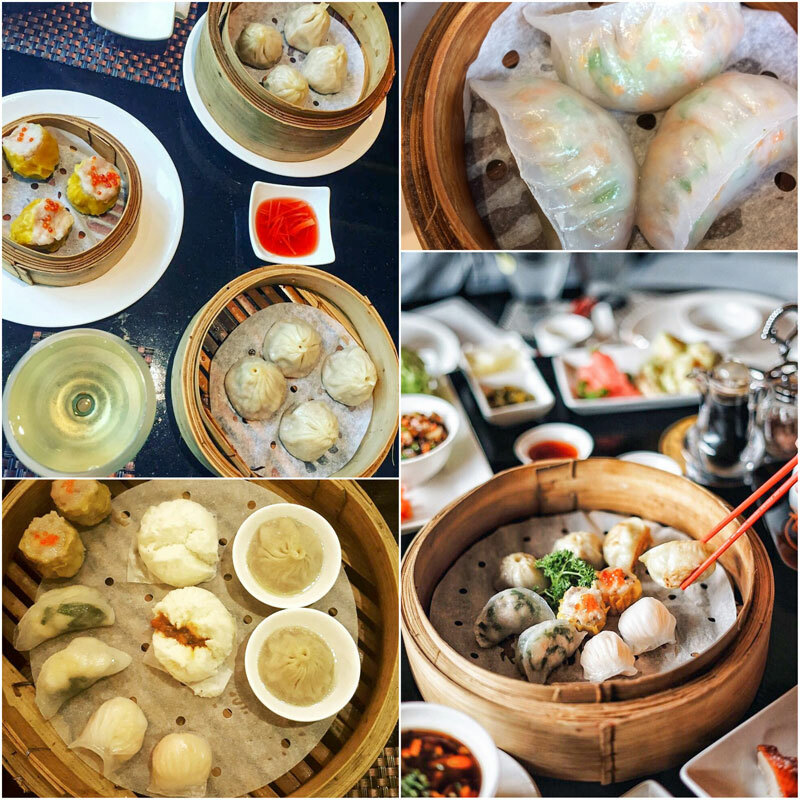 The extensive menu comprises of most of your dim sum favourites, and if you’re unsure of what to get, simply opt for the fried or steamed dim sum platters for an all-rounded experience. While most of the dim sum here are yummy but not jaw-droppingly good, we were pleasantly surprised at how fresh the har gow was, as well as the chee cheong fun’s smoothness and the steaming hotness of the char siew baos (steamed BBQ pork buns)! Xiao Long Bao (Chinese steamed bun) lovers will likely be disappointed by the thicker skin that Moon Rabbit’s version sports, but if this is the standard of Moon Rabbit’s culinary skills, we definitely won’t mind being the moon goddess’ roomie on the moon. You’re welcome! 🙂 Have we convinced you to go out there and get sum dim sum? Which do you prefer?